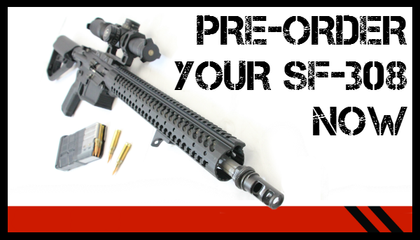 Adams Arms is proud to announce the Introduction of our Revolutionary New Piston Driven Small Frame .308 Rifle! With our years of research and development, we’ve engineered the finest .308 to ever hit the market. Weighing in at under 8 pounds and more than 50% reciprocal to standard AR-15 components, the rifles will be setting a new standard in the firearms industry. The lineup includes 4 models with options and price points from entry level all the way to our FAST model which will be able to outperform and outlast anything on the market. With MSRPs ranging from $1329.99 to $2999.99 we have a model to fit every need and budget.